This year I decided I wanted to get out of my box and comfort zone and really utilize all the beauty that is nearby, even if it means traveling a bit to get there! 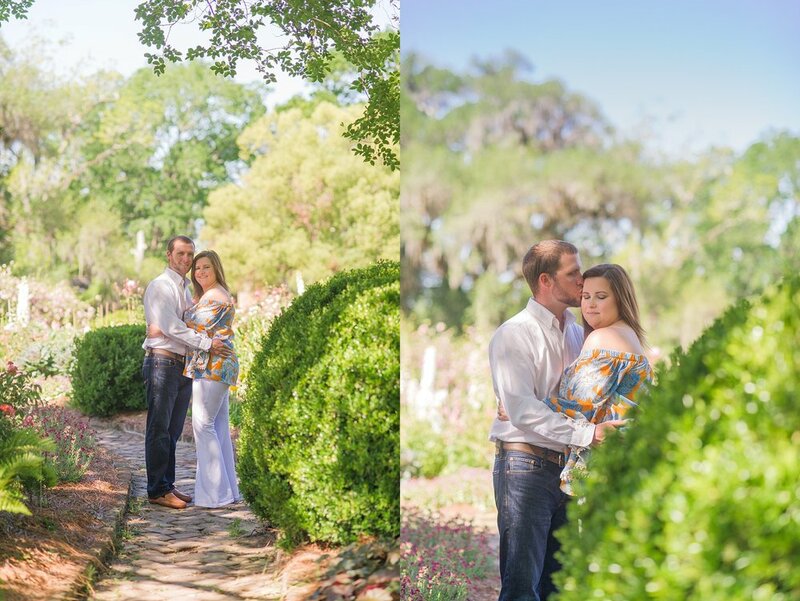 Jessie and Orry were game when I suggested shooting their engagement session at Boone Hall Plantation in Mount Pleasant, South Carolina. We met up early one morning to try and beat the traffic and heat! It was such a gorgeous day, and it helped having such a gorgeous and in love couple as well! If you know Jessie and Orry, you also know they have the most precious baby girl, Harper. And what are portraits without your sweet baby?! She was so much fun to incorporate into their little love story and engagement session. We shot all around the property and found some amazing spots! I am anxious to shoot here again soon! There is literally so much to take in, it can be just slightly overwhelming if you're easily excited over things as such! I am beyond excited to be working with this sweet pair and their families in October when they exchange vows and say "I Do!". Take a peek at their glowing session below, and leave them some words of encouragment as we approach their big day! Tags: Boone Hall Plantation, South Carolina Wedding Photographer, Engagement Session, Charleston South Carolina Engagement, Charleston SC Engagement Session, Sumter SC wedding photographer, florence sc wedding photographer, Beaufort SC Wedding Photographer, Low Country Wedding Photographer, Lowcountry SC, Avenue of Oaks, Charleston Wedding Photographer, Charleston SC Wedding Photographer, With this Ring, She Said Yes!